 An unique Family Entertainment Center “SkyZone” would be inaugurated on 3rd of October 2014 at 2nd floor,Kanakadasa Plaza, Opp.BIMS, Dr.BR Ambedkar road BELGAUM. This is the first of its kind entertainment center in Belgaum. SkyZone features: Games for Young Adults: Fast & Furious, Slam & Jam, Dance-Dance-Revolution, Super Bikes, Air hockey. An additional 10,000 sq. ft of Sports Lounge, Pro-cricket lanes, 9d theatre ,4 bowling lanes, Dashing car zone, Party hall, Food court 45 arcade games. An additional 10,000 sq. ft of Sports Lounge, Pro-cricket lanes, Performance & Music related activities would be added shortly. SkyZone will serve as a healthy entertainment alternative to the Youth, Families. Will there be any multiplex opening in Belgaum? 3rd MULTIPLEX OPENED IN GULBARGA RECENTLY.